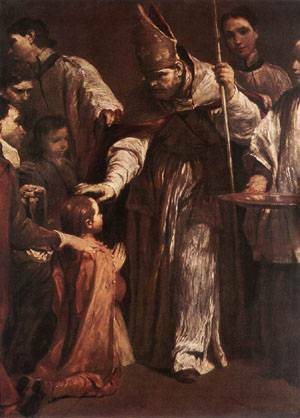 Cresima, also "Confirmation" in English, is one of the seven sacraments in Catholic Church. The Holy Spirit marks a seal on the recipient, lives inside him onward; in turns, the recipient is strengthened by the Holy Spirit in Grace. It is Holy, Graceful, and Strong.